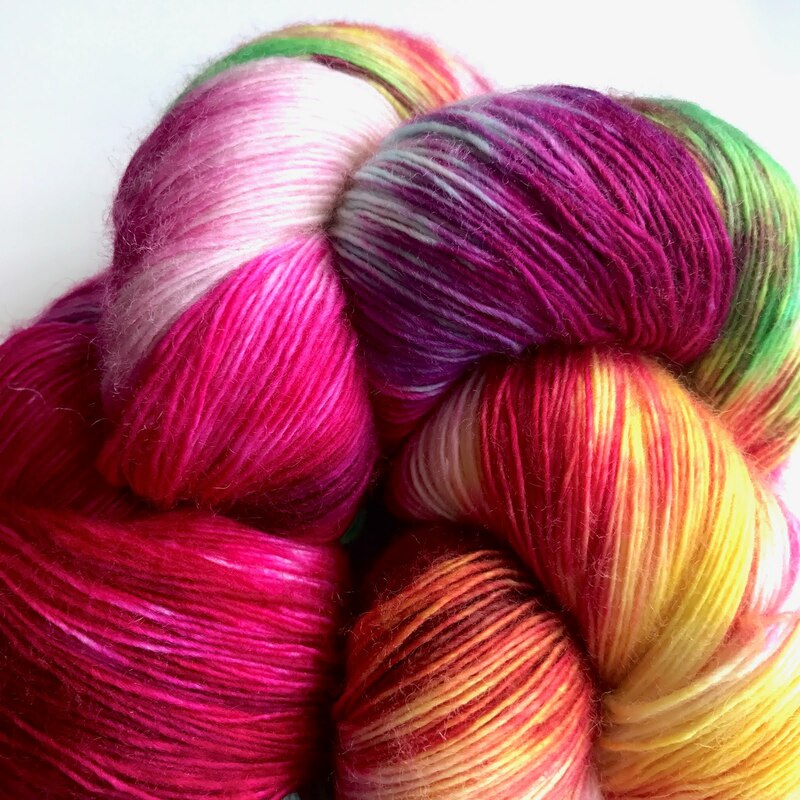 This post is dedicated to independent yarn artists who produce such beautiful yarns we can't bear to de-skein them, and in particular to Jon, who created my own 'Muse Skein'. 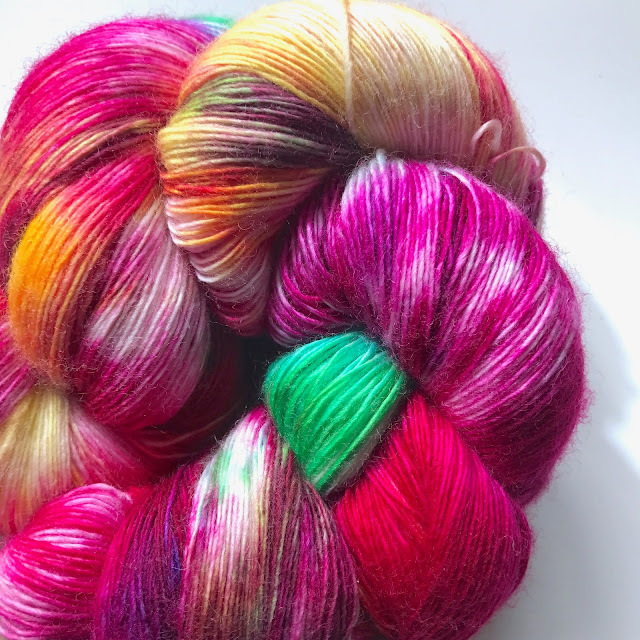 After seeing a photo on Instagram several weeks ago, I simply had to have this skein of yarn - it's the sister of the one in the photo and as soon as I saw it, I knew it would have to come and live with me. A day or two later, it did. Since then, this soft bundle of scrumptiousness has been on my desk. Or on the shelf right behind my desk. It's never far out of reach. I look at it often. As we're all friends here, I will admit that I regularly take it from the shelf and hold it in my hands, imagining how it would look in long rows of squishy garter stitch... how the colours might intersect with a bit of short row shaping... how it would look paired with something else for brioche... how the individual stitches might look on my favourite needles... There may even be the occasional sniff. You can quit judging me - I know you'd do it too! I don't normally engage in this behaviour, in fact, I rarely buy yarn for the sake of it. I've only purchased a couple of skeins despite massive temptation at the last few yarn festivals I attended, and then I cast on right away. 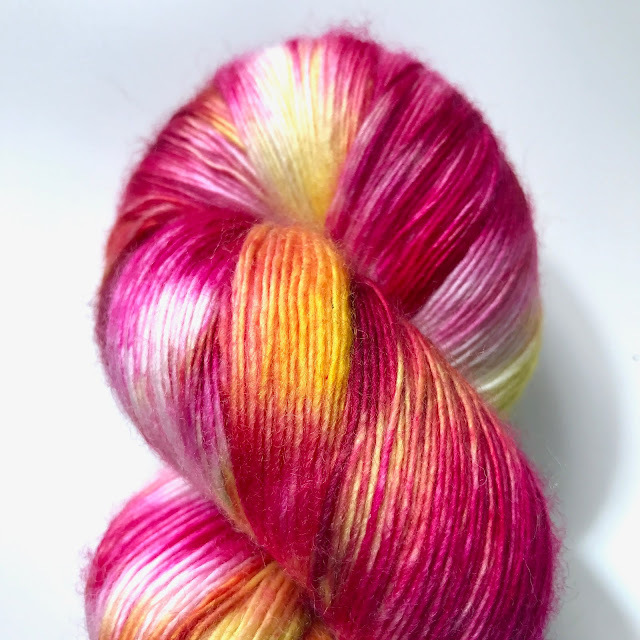 This skein is different. 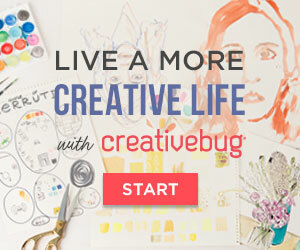 It makes me want to paint, and look at flowers and take photographs. Looking at it makes me smile, and yeah, even sniff it. The last thing I want to do is to de-skein (un-skein?) it and wind it into a ball or cake. It's just perfect as it is - full of potential and the object of imagining. It's my Muse! I was having a video call with my friend Joanne (Scrace, of The Crochet Project) earlier and confessed, somewhat sheepishly to my irrational treatment of this skein. The truly wonderful thing about having friends who share your passions is that they can make you feel completely normal about (what some might consider) questionable behaviour. Not only did she reassure me that it's perfectly fine to have pet yarn, she also encouraged me to blog about it to spread the word. So if you're a closet yarn-petter with a Muse of your own, don't feel bad. If Joanne says it's fine (she's logical and mathematical, without a trace of 'woo') then it must be ok. Leave me a comment and I'll even tell you so personally! Ha ha! Glad to be of service! Yep I agree that it's fine! I've got more than one that I have a hard time contemplating using, I tell myself 'one day' when the right project comes along' but I'm not sure it ever will! Crochet is not my vocation, and only one of my avocations. And, it's a relatively new relationship,only a couple of (serious) years old. But, I have a very serious yarn problem. I love great yarn. It fills some place in my soul, soothing and inspiring me. Sometimes I sort of have an idea of what I'll do with the yarn I fall for, but often I just can't turn down the chance to see and touch and the skein whenever I want. Sometimes, I can't bear to wind the skein into a ball to do some work, rather than just be in its resting skein state. But for me, it's never just one skein. I am polyarnomous, and that brings many challenges. Not least the one with my other, rather more longstanding serious relationship, who feels his space in our bedroom, (and everywhere else in our house) is threatened by the yarn and my constant absorption with the stuff. He loves the artist in me, so maybe he'll be comforted by the muse concept. This is perfectly normal behaviour, don't worry at all. 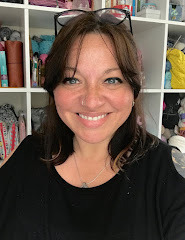 I have some easy knits yarn that I am knitting with right now and it is just lovely to work with so if you ever do decide to create something with this you'll enjoy it! In our house, it is not just me who has a yarn fetish. My partner Henry never wants me to make skeins into things, he just likes owning them and hanging them up!